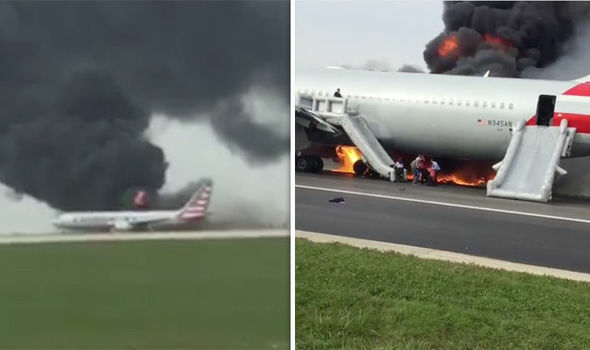 Terrified passengers have been forced to flee a plane after it caught fire on a runway at a busy airport in Chicago. Dramatic photos show heavy smoke billowing from the aircraft, while shocking footage captures the moment terrified passengers run from the burning inferno. Emergency services, including six ambulances, arrived on scene at Chicago's O'Hara airport at 2.30pm (local time). See video obtained from twitter after the cut..